From kids leagues to adult leagues, professional to amateur, players compete for trophies. Big, small, old and new, trophies come in all different shapes and sizes. Teams win trophies, individuals win trophies. Trophies have given the world of sports its competitive edge, and nothing makes a player forget the pain and agony they felt and endured playing for that championship like lifting the trophy they won, in victory. Which brings me to the topic of this post. Across the wide spectrum of professional sports, organizations spend millions of dollars employing players in hopes they will help bring a championship to the club. Those championships are all represented by a trophy, a symbol that represents that the teams have made it and can be called champions. However, some trophies don't quite match up to there solid silver or gold cousins. Below are the championship trophies for the major sports leagues, across the world. I'll list some fun facts about the trophy and do something that has never been done before, give the trophy a trophy based on its appearance, history, past winners, size, stuff like that. A new trophy is made every year, and is inscribed with the participating teams and final score of the Super Bowl after the game. Trohpy: THE WE PARTY HARD TROPHY, any trophy that needs a stunt double because the celebrating could get to out of control is okay in my book. The trophy has 30 gold plated flags, one for each major league team, that surround a silver baseball with latitude and longitude lines that represent the world. Fun fact: Unlike the Stanley Cup and Lombardi Trophy the Commissioner's Trophy is not named after an individual (lame). Trophy: The I'm Not Physically Fit But Can Still Be a Professional Athlete Trophy, out of all the major sports leagues in the world, baseball probably requires the least amount of physical fitness. You sprint for about 30 seconds at a time if your lucky enough to even get a hit. Do I even have to get started on some of the doughnuts people call pitchers. 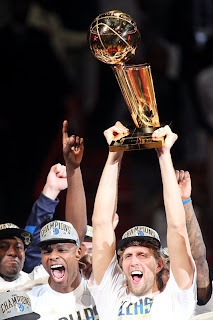 Now is the National Basketball Association's Larry O'Brien Championship Trophy. Fun Fact: After the Detroit Pistons won the Championship in 2004 the Larry O' Brien Trophy embarked on its first tour of the state of the winning team. Fun Fact: The ball at the top of the trophy is about the same size as an actual regulation ball, 9 inches in diameter. Trophy: Can We Get A Bigger Trophy Trophy, seriously in a league where the average player is around seven feet tall you're going to give them a trophy that's just 2 feet tall! These guys should have a monster of a trophy, not a 15 pound book end. Fun Fact: Between 1893 and 1914 the Cup was a Challenge Trophy, where other Champion Teams could challenge the current Champion for the Cup. 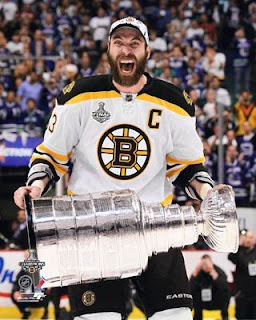 Trophy: The Will Always Have The Manliest Championship Pictures Trophy, due to a phobia that keeps hockey players from shaving during the course of the playoffs, in fear of losing, the winning team always sports the manliest of playoff beards when they are taking celebratory pictures. 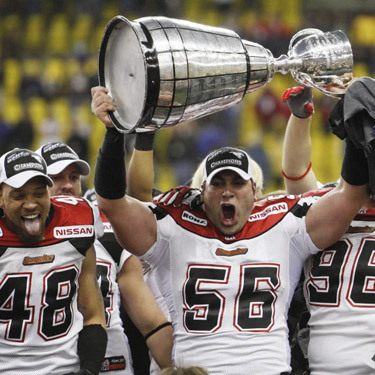 Originally the Grey Cup was awarded to the top Rugby team, but over time the league became the Canadian Football league and amateur teams ceased competing for the Cup. Fun Fact: The widest margin of victory was 54-0. Trophy: The You Look Very Similar To The Stanley Cup Trophy, originating in Canada it is no surprise that this trophy is very similar to the Stanley Cup. I think the Stanley Cup gets more points because it has other trophies jocking its swag. They even engrave the winners on the trophy like Lord Stanley. The name of the winning clubs are listed around the circumfrence of the trophy. Fun Fact: There is three crowns on the trophy, one on each lion above the handles, and one on top of the trophy which is supposed to be seen as the captain of the winning team's when he raise the trophy after winning it. Trophy: The Why The Hell Is This Thing So Heavy Trophy, 56 pounds! Are you kidding me! I mean these are soccer players, they don't have the most upper body strength. What are they going to do, squat the damn thing! And last but not least, The Kontinental Hockey League's Gagarin Cup. Although the league is only three years old the KHL has lured some of the most talented hockey players in the world away from the NHL, and has claimed to be the best hockey league in the world. Fun Fact: It is named after the first human in space. Trophy: The Slow Down Young Grasshopper Trophy, for a league that is only three years old to claim to be the best hockey league in the world is a bit of a jump, a quick jump at that. The KHL has a ways to go to rival the NHL and the Stanley Cup. Needless to say they are all great trophies. However some are better than others. History wise, the Stanley cup takes the cake, sure the Commissioner's Trophy, once again, lame, has been around for a long time but a new trophy is made every year. The same Stanley Cup has been lifted by every winner that has ever won the trophy, that's history. In terms of looks I would say its a tie between the Gagarin Cup and the English Premier League's trophy. Both look great, they have gold tops and silver bases, both have their own personal flair as well. The Gagarin Cup has a row of hockey puck around the trophy, and the Premier League Trophy has tons of colorful ribbons added to it. Pretty! The trophies that are the least appealing are those of the sports that have the biggest followings, the Lombardi and O' Brien trophy. They are small, and not too appealing to look at. There is a new trophy made every year so there is no special value added to the trophy itself. But hey, everybody loves the NFL and NBA right? Oh and then there is the Grey Cup, or should I say Stanley Cup Junior. Although it looks good I cant help but think, stop trying to be like Lord Stanley when I look at it. Which in my eyes adds to the reasons the Stanley Cup should have the title of world's best trophy. Of course I may be a little biased. Sound off below. This particular special style, characterized through it's unique external rolex replica as well as sub-dial guns, has turned into a organization favorite amongst enthusiasts, as well as had been obtainable being an choice up to the rolex replica uk. The term Daytona lastly made an appearance within 1965 the entire year NASA granted the actual rolex replica sale along with recognized flight-qualified standing, because do the actual ref. 6241, the variance from the ref. 6239 having a dark hublot replica. For the reason that exact same 12 months made an appearance the actual ref. 6240, using the term rolex replica sale about the call in order to enhance brand new screw-down pushers. The actual ref. 6240 had been short-lived, quickly changed through replica watches sale that transported the actual up-to-date california. 727 but nonetheless experienced the actual no screw-down pushers. After that arrived the actual ref. 6263 as well as ref. 6265 within 1971, that reintroduced the actual screw-down pushers as well as Oyster personalisation.